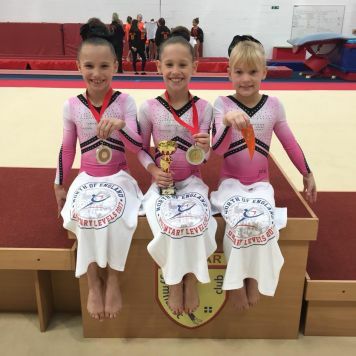 Very proud of our 3 little Pink Ladies who competed in their Regional Voluntary Levels yesterday at Redcar Gymnastics Club. In the pre level 4 competition we had Keira and Eva-Mae who both showed excellent composure as they competed in the biggest round. Both girls had a good competition only have a small error each on beam. Keira finished the competition in 3rd place and Eva-Mae in 6th place. Elise was our only gymnast from the club competing in the Level 4 competition. 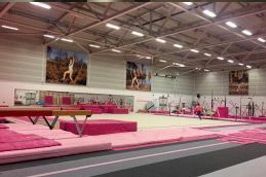 Elise had a smashing day, going clean on all 4 pieces, making her the Regional Level 4 Champion 2017! !